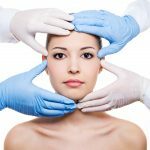 Anyone who would like to have a more youthful appearance without the trauma of an actual facelift can now consider “submalar augmentation,” a breakthrough procedure developed by Dr. William J. Binder, F.A.C.S., of Pacific Palisades.The surgery, performed on 200 patients over a six-year period, involves the positioning of a newly-designed silicone implant, which is inserted through the mouth and stabilized with a direct fixation technique. Since it is performed through the mouth, there are no external visible scars and the healing discomfort is minimal, according to Dr. Binder. 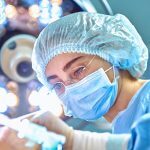 Dr. Binder, who has studied 170 patients for an average of 3 ½ years, feels that the procedure postpones the face lift process until such time as it will do the most good. Dr. Binder presented his findings at the annual meeting of the American Academy of Facial Plastic and Reconstructive Surgery (AAFPRS) in Washington, D.C. His manuscript was accepted for publication in the Archives of Otolaryngology.